Alu-Grille | For a wide range of designs and proven quality ensure security requirements for any home. Golden West Security offer a wide range of window and door grille options. That are sure to improve the security of your home. ALU-GRILLE is perfectly suited to a wide range of window applications. As well as both hinged and sliding doors. ALU-GRILLE has a 7mm strand thickness. It has been tested to meet the requirements of the Australian Security Door Standard AS5039. To obtain maximum benefit from ALU-GRILLE, all doors made incorporating these grilles should also be manufactured to comply with AS5039 and installed to comply with AS5040. 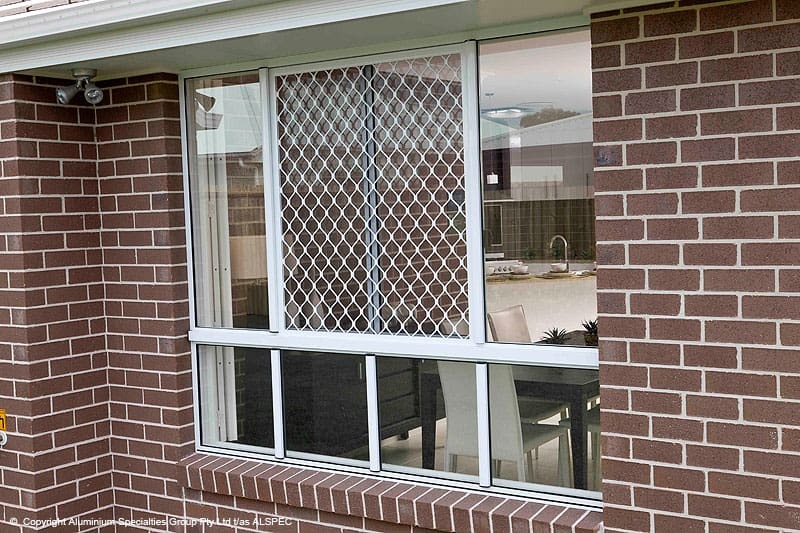 ALU-GRILLE offers good looking, low maintenance protection for your home. the visibility into your house from the outside. looking, low maintenance protection for your home.